Increasingly (71.1%), responding companies use the the technology for prototypes and final parts. Over half believe its use will be expanded to include high-volume production within 5 years. Surprisingly, only a quarter predict Additive Manufacturing will disrupt their supply chains in the short term. Almost 53% feel 3D printing will gain a greater foothold in the parts/products after-market. A majority (64%) anticipate Additive Manufacturing will be used to reproduce obsolete components. Of those organizations that already use 3D printing, more than half believe their peers will adopt the technology within 5 years. Firms continue to believe that technology costs and qualified labor shortages will slow greater adoption of 3D printing use. To learn more about how additive manufacturing can help your company, contact RapidMade. Come join us this Thursday to celebrate (details below)! When: Thursday, October 29th | 7:30 a.m. - 9:00 a.m. 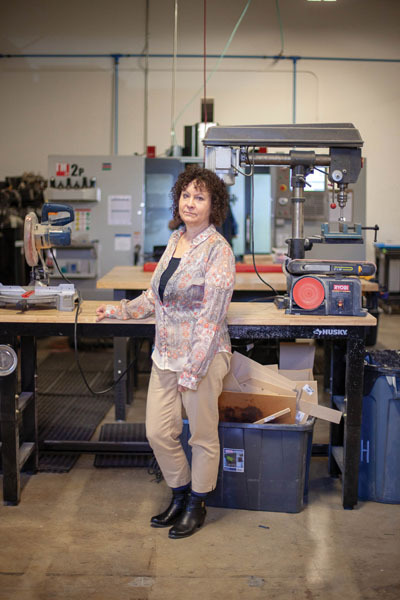 The Oregon Manufacturing Awards are intended to recognize Oregon Manufacturers. This is one of the few public awards programs for manufacturers in the United States. We're honoring manufacturing firms from all over our region for outstanding operations, products, facilities, and most importantly, the best manufacturing workforces in the world. As part of the awards program, Tim Boyle, CEO of Columbia Sportswear will be joining us for a live Q&A with Publisher Craig Wessel. Tim is at the helm of the 70 year old sportswear apparel giant which his grandparents began in 1938. Although it is a public company today, Columbia remains a family affair. Boyle's 91-year-old mother Gertrude, aka "one tough mother" is chairman of the board, and both his son Joe and sister Sarah Bany are on the board. Tim started working at the company after his father passed away, helping his mother Gert run the fledgling retailer while he was finishing college. He took over as CEO in 1989. Don't miss this conversation with this fascinating Oregon company, and discussion on where Columbia is headed in the future!